Without the right protection, your child’s sunny day on the beach can end with a bad sunburn itch. This develops with prolonged exposure to UV radiation without applying or reapplying any SPF sunscreen, especially while healing from an initial sunburn. The resulting itching and burning sensation can put a damper on your child’s summer vacation, but there are many at-home remedies you can use for relief. Itchiness is just one of the many symptoms that result from a sunburn. Sunburns are a result of damage to the top layer of skin, which contains a number of nerve fibers that are responsible for the itchy sensation. When UV rays damage this layer, it causes these nerves to activate, which makes you experience an increased amount of itchiness. In fact, some people experience what’s known as Hell itch, which is an extreme itch that can appear up to 48 hours after the burn. However, scratching is the last thing you should do when you have sunburn itch, as that can further irritate your skin and cause worse side effects. Luckily, there are many at-home remedies you can use to alleviate pain and reduce the itching sensation that accompanies serious sunburns. In addition to using cool water, adding any of these three ingredients can reduce itchiness. Because the sun dehydrates your skin, you should drink plenty of water to replenish the water you’ve lost. 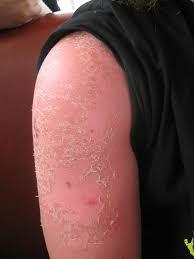 Applying an 0.5-1% hydrocortisone steroid cream can help reduce inflammation, redness, and itching caused by sunburn. Use as directed. Make sure you and your child stay protected this summer by wearing adequate sunscreen protection and avoiding direct sunlight for too long. 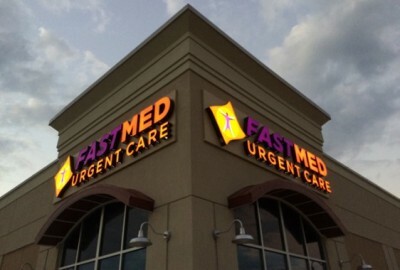 If you or your child experience sunburn itch this summer, visit your local FastMed Urgent Care. We are open seven days a week, never require an appointment and can have you feeling better in no time!